Please follow the information in this document in order to submit your academic paper or industry report for review. 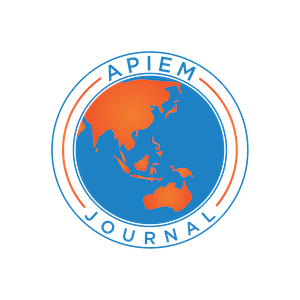 Please contact Professor David Hind, Managing Editor at contact@theapiem.com for an initial response on whether your paper will be suitable for publication in the Asia Pacific International Events Management Journal. When you have registered as an author for the Asia Pacific International Event Management Journal you will be able to submit your paper for review, following the instructions that are provided for you on the Journal`s webpage. The paper submission and review process that is followed by the Journal can be found by opening `ABOUT` on the website`s home page and then opening `OTHER` and finally clicking on `ABOUT THIS PUBLISHING SYSTEM`. This explains to you the steps we follow when a paper is received for review. To ensure that your paper conforms to the Journal`s writing protocols please Download from the link below and follow carefully the requirements that are specified.